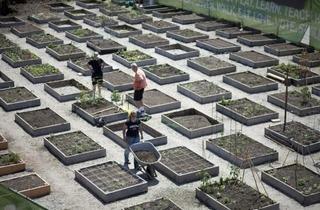 An organic pop-up garden in Ravenswood is giving restaurants a chance to grow their own food. 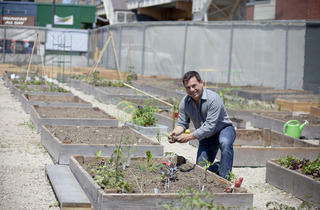 Photograph: Martha WilliamsChef Rick Miranda of Cafe 28 at the Montrose Green Community Garden, where he has a plot. 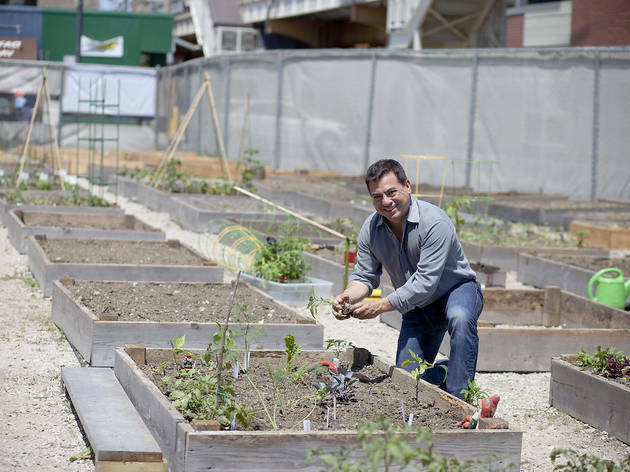 The plot of land just west of the Montrose Brown Line stop had been empty for years. A sign on the lot had long promised a mixed-use building featuring apartments and office space. 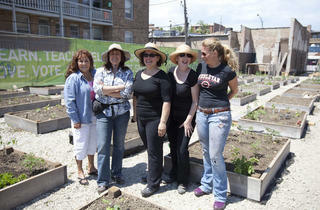 Never was there any mention of a community vegetable garden. Yet that is exactly what the lot, known as Montrose Green, has become. 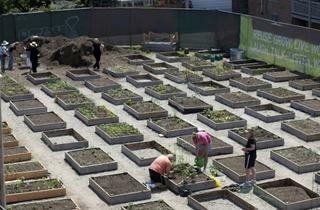 Due to a collaboration of three entities—the Northcenter Neighborhood Association (specifically, the association’s Greening of Northcenter initiative), the Peterson Garden Project and Harrington Brown, the real-estate company that owns the land—the once-empty stretch of gravel is now 137 organic vegetable garden beds of various sizes. Lisa Hish, a member of NNA and the coordinator of the project (which is 100 percent volunteer run), says she and her cohorts searched for a plot of land for 18 months before finding this one. “We surveyed 40-some properties,” she says. “Landlords wouldn’t talk to us.” It wasn’t until March that David Brown, founder of Harrington Brown, agreed to lend the land for two years. 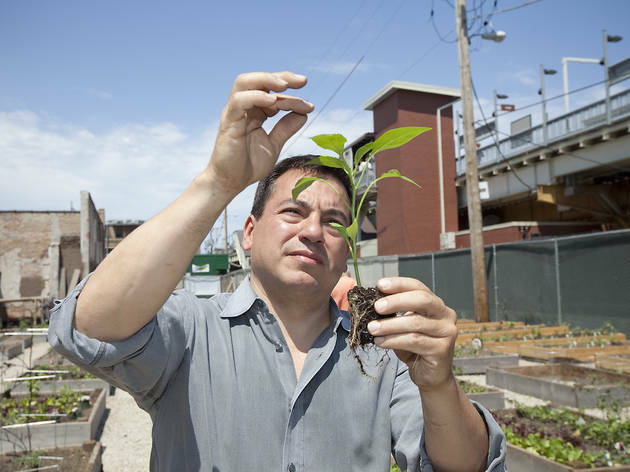 (Hish says NNA is already searching for land where it can transfer the garden, which is entirely on raised beds, in 2013.) 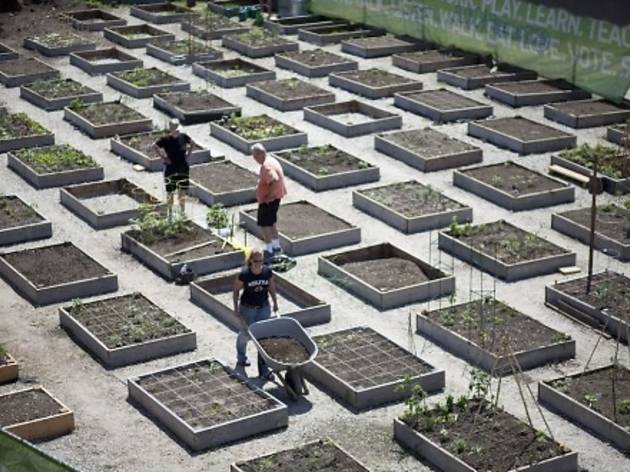 Within three weeks, the garden was a reality. 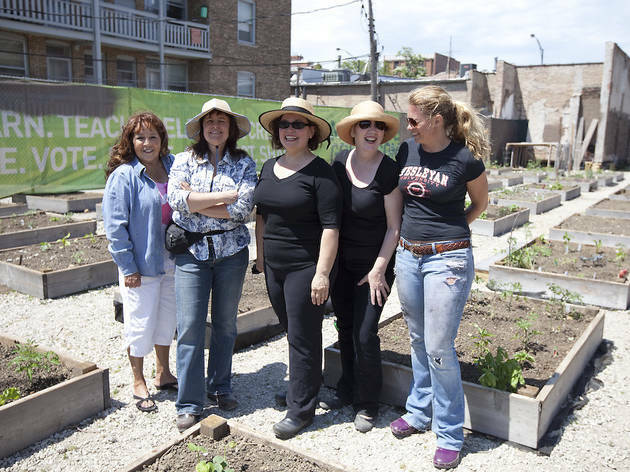 Most of the plots were reserved for individuals and families; those went for $65 each and sold out within 24 hours of announcing the project (47th Ward Ald. 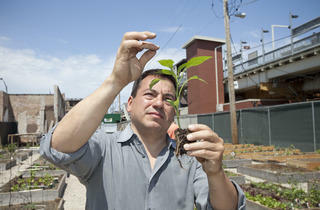 Ameya Pawar and Mayor Rahm Emanuel were given honorary plots). 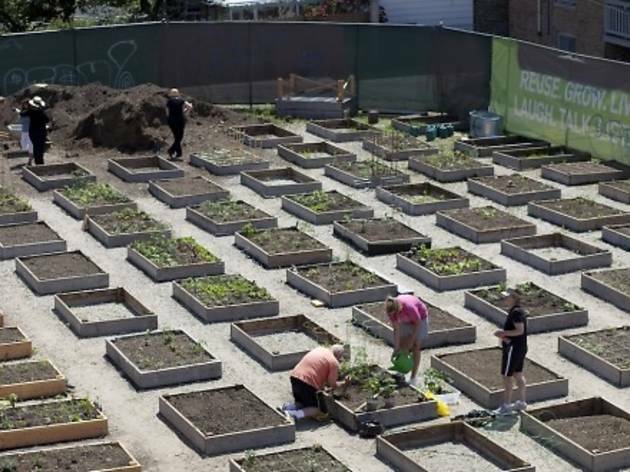 But 20 plots have been deemed “grow to give”—where volunteers will grow vegetables and donate them to a food bank—and 12 were reserved for neighborhood restaurants, also for $65. Among those who signed up: City Provisions, Blue Sky Bakery, Bad Apple, Apart Pizza, Mrs. Murphy and Sons, the Fountainhead, Browntrout and Café 28.